Consumers are demanding products that are safer and healthier for themselves and their families. Owens Corning is a trusted global brand known for its innovative insulation, roofing, and composites that has continued to reinvent itself and its solutions for over 80 years. 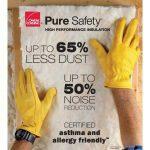 Owens Corning was launching its Pure Safety® Insulation product exclusively with The Home Depot. Overall air quality, which is very important, is still an incoming trend for homeowners. The majority of consumers start their shopping journey online and aren’t typically reading signage, packaging, or shopping the aisle. When shopping for insulation, homeowners and professionals go into the store knowing what they want, so we needed to elevate awareness prior to their in-store experience to reach them earlier in their decision-making process. Research also indicated that, particularly among millennials, family health and safety were of utmost importance. This audience looks for value in the products they purchase and look for solutions that help protect the health and safety of their home. Consumers are inundated with claims but Owens Corning needed to reach customers before they entered the store. Owens Corning re-engineered its product, translating into a strong value proposition regarding fire resistance and noise reduction claims, as well as securing the industry’s first asthma & allergy friendly® certification for its Pure Safety® Insulation product. Owens Corning utilized an integrated marketing approach targeting key audiences and markets to elevate awareness about the importance of overall air quality. We focused engaging consumers socially and digitally, earlier in their journey, by enhancing the website, product information pages, advertising banners, and executing search/SEO targeting. The integrated marketing approach and ecosystem was consistent with the traditional in-store experience, so individuals would have better recall of Pure Safety® when they arrive in store. Allergy Standard Limited (ASL), and The Asthma and Allergy Foundation of America (AAFA) provided the expertise, testing and independent certification to help Owens Corning develop the industry’s first asthma & allergy friendly® Certified insulation. The asthma & allergy friendly® Certification is intuitive to consumers, homeowners and their families. The messaging is relevant and resonates, and the benefits come to life in the claim – adding value and trust in the product. 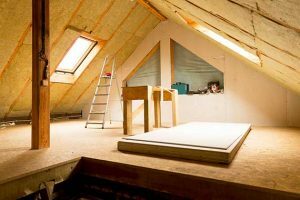 When considering the many benefits of insulation like energy savings, noise reduction and having a comfortable home, millennials with young families viewed the asthma & allergy friendly® Certification as a differentiating factor from other products and ranked it high on the list of product claims for Pure Safety. Having the first insulation to receive the asthma & allergy friendly® Certification was a true differentiator to consumers, many of which believe it has had the greatest impact on the air quality in their home. Owens Corning is constantly innovating and seeks out industry experts to collaborate on innovations that will have meaningful impact for both residential constructions and consumer markets. The company will also be launching the Pure Safety® product through expanded channels targeting the builder segment who focus on overall air quality, in addition to working with other customers on how Pure Safety® Insulation can further differentiate their product offering.